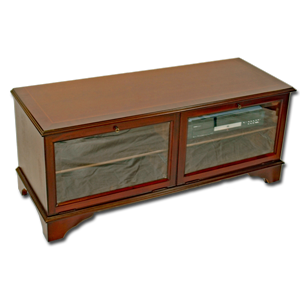 Large reproduction TV stand with two pull down flaps and enough storage form at least 4 items of electrical hardware. One adjustable shelf in each section. Available with a bevelled glass flaps, wooden flaps with scalloped inlays or as a bespoke item made to your preferences - please ask. 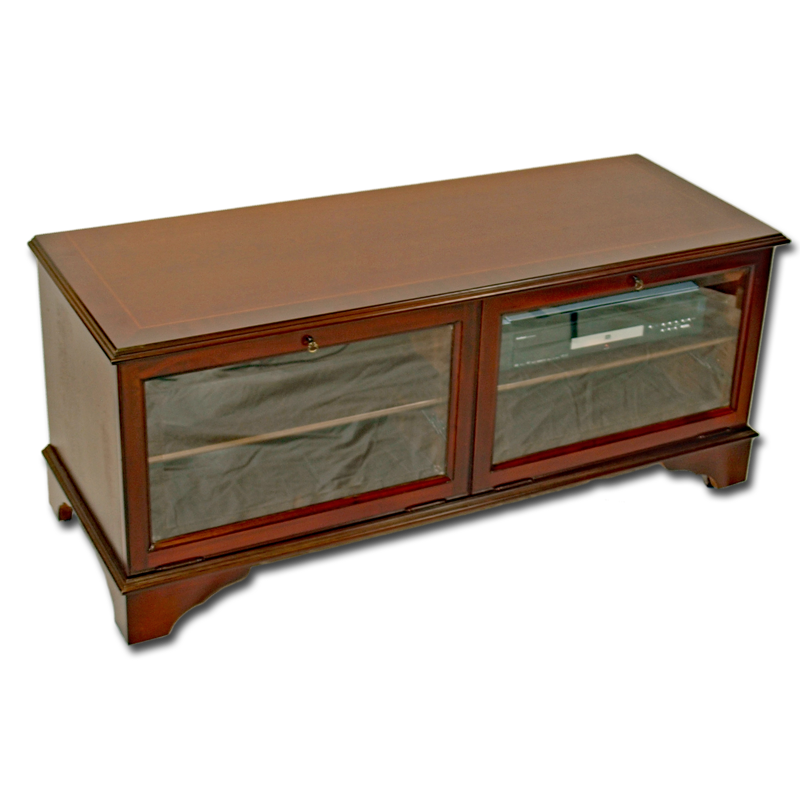 Available in mahogany, Burr walnut, yew or oak. Glass flaps are suitable for remote control use.